Occupational exposure to crystalline silica dust is associated with an increased risk for pulmonary diseases such as silicosis, tuberculosis, chronic bronchitis, chronic obstructive pulmonary disease (COPD) and lung cancer. This review summarizes the current knowledge about the health effects of amorphous (non-crystalline) forms of silica. The major problem in the assessment of health effects of amorphous silica is its contamination with crystalline silica. This applies particularly to well-documented pneumoconiosis among diatomaceous earth workers. Intentionally manufactured synthetic amorphous silicas are without contamination of crystalline silica. These synthetic forms may be classified as (1) wet process silica, (2) pyrogenic ("thermal" or "fumed") silica, and (3) chemically or physically modified silica. According to the different physico-chemical properties, the major classes of synthetic amorphous silica are used in a variety of products, e.g. as fillers in the rubber industry, in tyre compounds, as free-flow and anti-caking agents in powder materials, and as liquid carriers, particularly in the manufacture of animal feed and agrochemicals; other uses are found in toothpaste additives, paints, silicon rubber, insulation material, liquid systems in coatings, adhesives, printing inks, plastisol car undercoats, and cosmetics. Animal inhalation studies with intentionally manufactured synthetic amorphous silica showed at least partially reversible inflammation, granuloma formation and emphysema, but no progressive fibrosis of the lungs. 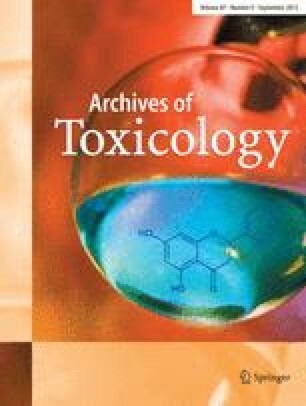 Epidemiological studies do not support the hypothesis that amorphous silicas have any relevant potential to induce fibrosis in workers with high occupational exposure to these substances, although one study disclosed four cases with silicosis among subjects exposed to apparently non-contaminated amorphous silica. Since the data have been limited, a risk of chronic bronchitis, COPD or emphysema cannot be excluded. There is no study that allows the classification of amorphous silica with regard to its carcinogenicity in humans. Further work is necessary in order to define the effects of amorphous silica on morbidity and mortality of workers with exposure to these substances.